The Luxurious Studio Chichoga Road is a spacious property with wooden interior and cozy furnishing ensuring that guests feel comfortable during their stay. 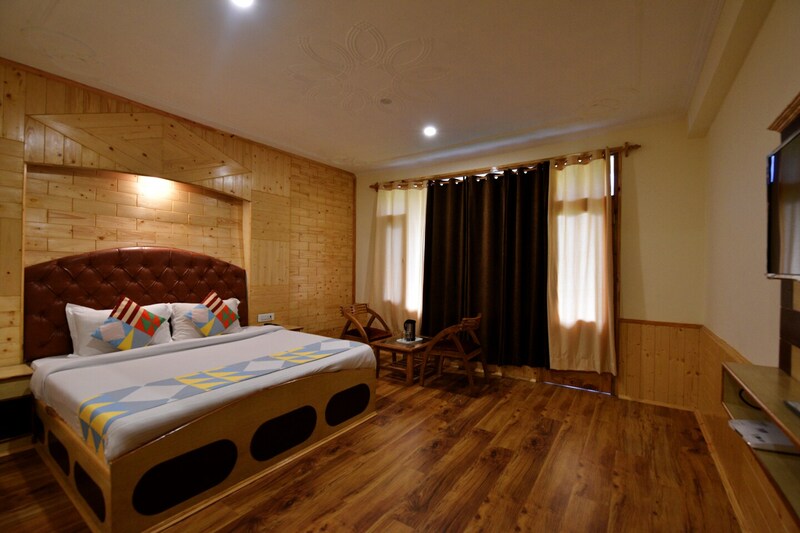 Located in central Manali, this hotel is close to multiple restaurants, Manali Bazaar, museums, temples and Manali Nature Park. The hotel is situated in natural, serene settings making it an ideal place for guests looking for a relaxing vacation. The rooms are styled with homely furniture, a TV and other useful facilities such as a room heater and a geyser in the bathroom. This property also has an in-house restaurant and dining area where guests can enjoy home-style meals. on site parking is available.